Traditional theater seating is a great way to enjoy any movie. Chairs are designed for comfort, support, and to absorb excess sound. Users can lounge without feeling too relaxed -- which could lead to a nap before the movie is done. But theater design isn’t limited to tradition. And theater seating has evolved. Today’s manufacturers offer a variety of seating options, including couches, recliners, and loveseats. Each is made with non-reflective material, plush upholstery, and offer the level of support necessary for enjoying great entertainment. Sound systems are based on the balance between audio reflection and sound absorption. One of the ways integrators make sure there won’t be too much of an echo is by installing wall panels. Wall panels help dampen the sound so it won’t overwhelm the room. Of course, they can also be ugly. Thankfully, modern wall panels can work within the confines of a stylish design. Component pieces work to add texture to the room, accenting the walls while still providing the level of audio precision necessary for optimal audio. One of the most important aspects of a home theater is the lighting. After all, a projector shoots light at a screen to create the image. That’s why lighting control is so essential to good theater design. Light fixtures should aim away from the screen, so they won’t wash out the image if you have to turn them on during the movie. Zone control can also help minimize distractions every time someone gets up. Overhead lights are one thing -- but track lighting along the walkways will also help avoid issues while walking in the dark. Smart lighting design doesn’t stop there. Consider how the latest tunable white lights can dim to 0.1 percent, rather than 10 percent of standard dimming. That will greatly reduce disturbances throughout the movie’s runtime. 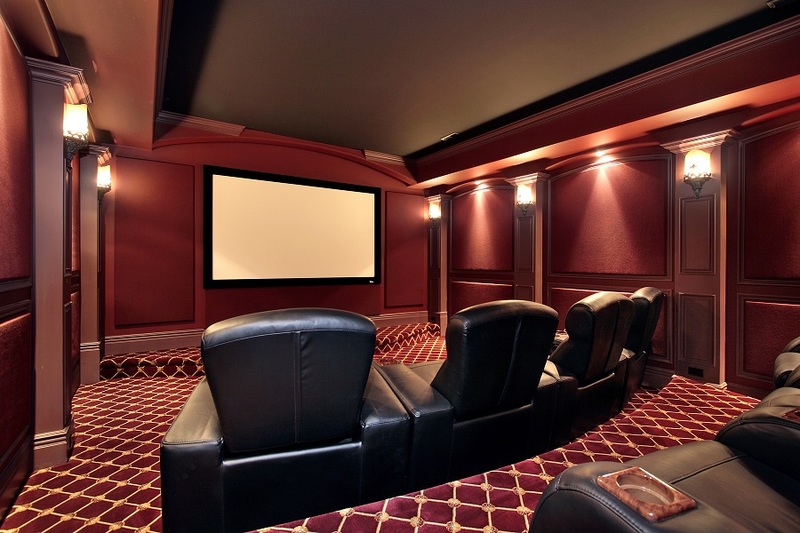 Want more helpful design tips from a local home theater expert? Click here now.